Online check-in FAQ's Monarch Airlines correct as of the 14/11/13 information has been provided for your guidance only and was correct at the time of writing. How do I check-in online with Monarch airways? The online check-in facility is available with Monarch Airways from 28 days up to 6 hours prior to your scheduled flight departure time. In order to take advantage of the online check-in facility with Monarch you must have paid for and selected the designated seating option. Check-in pal offer a check-in service for a small fee from only £3.99 pp one way. We check you in on your behalf and even take care of your boarding pass by sending it to you (uk or international) by the delivery method of your choice. We also offer a seat allocation service too. When can I check-in online with Monarch airways? The online check in facility is available to passengers travelling with Monarch from 28days up to 6 hours prior to their flight departure. 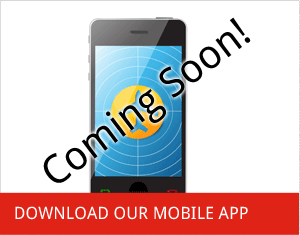 With check in pal you can simply leave us with your future travels dates ensuring you never forget to check in again! We take care of your whole check-in for you aswell as all of your travel documents too. Our check in service starts from only £3.99 pp one way and we offer a free call back facility too. 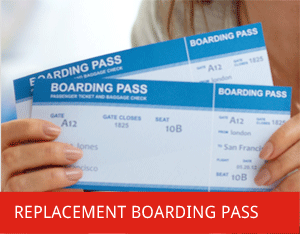 Simply tell us your travel dates and how and where you would like to receive your boarding pass ( UK or overseas). There are no questions listed in this section. Can I make a flight, date or time change with Monarch Airlines? + any additional increase in new fare. This service is quick and easy, saving you time and money ensuring you get it right the first time and avoid penalties with your airline at the Airport. 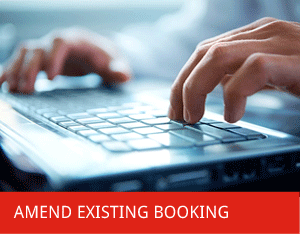 Our booking amendment service starts from just £1.99 pp one way + Airline fee, so why take the chance! How much is a name change with Monarch Airlines? Need assistance with a name change? 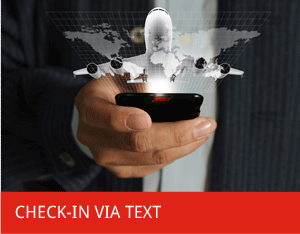 Check-in pal can arrange this for you and even send you your new travel documents and boarding card. Our service is only £8.99 per name per booking + Monarch's Name change fee. Monarch's name change fee is £120 via their contact centre. Check-in pal is cheaper at only £108.99 (*inclusive of Monarch's standard fee) with a free call back option. How much can my hold/checked in baggage weigh with Monarch Airlines? This can be increased to a maximum weight of 32 kg. Excess baggage with Monarch Airlines is currently £10 per kg, so it makes sense to get it right from the start. If in doubt take advantage of the baggage bundle deal. 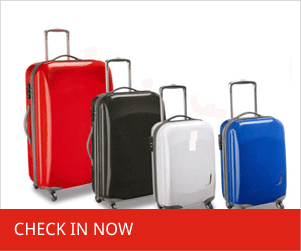 Check-in pal can take care of your baggage requirements by amending your booking for you with our baggage service. Our service starts from only£1.99 per bag one way when combined with our check-in service or £3.99 per bag one way on a stand alone service. We even take care of your travel documents and boarding pass too. How much is excess baggage with Monarch Airlines? More information can be found above. Currently Monarch Airlines charges £10 per kg for additional baggage weight. How much does it cost to check-in a bag in the hold with Monarch Airlines? You can save up to 40% on Airport prices when baggage is purchased online in advance. Prices are higher via the Airport or Monarch's contact centres, currently £25 per bag per one way flight. Check-in pal saves you money when you use our baggage service compared to that of Monarchs contact centre as we only charge a fee of £1.99 per bag one way when combined with our check-in service or £3.99per bag + (monarchs discounted online baggage fee) when using the stand alone baggage service. Thats a saving of up to £11 per bag one way! How many pieces of hand luggage / cabin baggage can I take on a Monarch flight and what is the weight restriction? Maximum size of hand luggage on Monarchs flights is 56×40×25cm. How much does it cost to add sports equipment such as golf clubs, bicycles, skis, snow boards, carpet bowles, scuba diving equipment, surf, kite surfing equipment and body boards? Cost at the Airport £30 per item carried one way. Check-in pal can take care of all of your baggage requirements including sports equipment from only £1.99 per item one way (when combined with our check-in service) or £3.99+ (Monarch's fee mentioned above) on a stand alone baggage service. We can also provide you with all of your relevant travel documents and boarding passes once we have amended your booking. Request a call back now for more information on our baggage service. I am travelling with an infant can I take a push chair/buggy or car seat? Yes, Monarch Airline allows passengers travelling with an infant to carry an additional weight of 10kg, this allows a buggy/push chair and or car seat to be carried in the hold of the aircraft free of charge. The two items combined must not weigh more than 10kg. Any additional weight is subject to excess baggage fees. This additional 10kg allowance may be combined with the adults 20kg weight allowance taking the maximum weight to 30kg. If you require assistance. Request a call back for our baggage service and let Check-in pal take care of your baggage requirements and amend your booking for you from as little as £1.99per bag per one way flight+ Monarch's fees. I have made a standard booking and wish to add allocated seating. Can I make changes to my seating once a booking has been made? Yes, infact there are many benefits with Monarch Airlines to pre-selecting your seating as this then entitles the passenger to online check-in facilities. Making your boarding experience quicker by cutting potential queues at the Airport departures. monarch's standard pre allocated seating starts from £3.99 per seat ranging up to £8.99 per seat depending on Airline route. Extra leg room with Monarch is also an option to consider costing between £9.99-£29.99 per seat each way. Check-in pal can take care of your seating arrangements for you on your behalf, we can even send you your travel documents and boarding cards too, from as little as £0.99+ (Monarchs allocated seating fee) per seat one way.